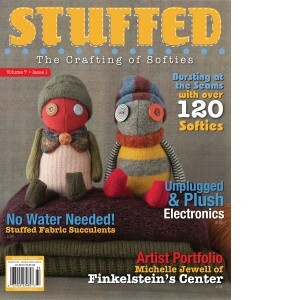 The new issue of Stuffed is coming out in Feburary!!! There are so many reasons to look forward to February. First, on the 9th, is the return of my favorite TV show of all time, The Walking Dead! Ohhhh I can’t wait to find out what happened to everyone! Then, There is Valentines day. My husband I don’t really do anything anymore. However, I love to help the kids pick out there Valentines Day cards and this year will be my daughters 1st School Valentines Day. Last year she was so sad that her brothers came home from school with boxes of treasures but this year she will get her own box and I am so excited for her. Then, sometime in February, I will start called Barnes and Noble on the February 1st to see if they have it yet, is my favorite magazine of all time. When I first found this magazine it came out quarterly, but now it is only twice a year. That makes me rather sad, however I do get incredibly excited when its time for the new issue. It is the ONLY magazine I read cover to cover, every single page. I love seeing the unique creations and the stories that go along with them. My dream is to get one of my creations into the magazine someday. Oh I can’t wait!!! I am so excited. This week I received a brand new sewing machine. My old machine was a very cheap one, I bought it several years ago, 4 about, the cheapest one I could find, ( it was all the money I had) to buy a machine. I didn’t really know what I was doing, I inherited my mothers fabric collection. Anyway, a few weeks ago it was acting bad, it was something with the bobbin. I learned to fix it, but my fix didn’t work for long and I got so frustrated that I couldn’t get anything done. I didn’t sew for weeks. Last week my favorite sweater had a ripped seam, so, I took it over the machine and attempted to fix it. The dang thing wouldn’t budge. Well, it budged, but all it managed to do was make a tangled nest a bird would not want. I screamed in frustration, I NEED A NEW ONE! Well, I did it. I ordered it, and it came! Its nothing fancy, but it is double the price of what I paid for the first one ( after all I am more familiar with sewing than I was then) and it has a few more bells and whistles that I just can not wait to try! Sadly, I have had a horrible week. During the last week all three of my poor babies came down with a stomach bug. I have had kids home all week, some days one, some days, 2 and one day all three. Sigh, I spent the week looking at my new machine all clean and brand new , all set up and ready to go, while I cleaned up things that are not fit to talk about on a decent blog. I finally turned it on last night, just to see it light up and to hear to what noise it made, but then I turned it off and went and cleaned a toilet. Today, only 1 kid is sick and he is on the road to recovery, my housework is getting caught up and the sun is shinning! After I give the bathrooms a good disinfecting cleaning, I will sit down and start designing my new creature. I can’t wait! It has been 7 months since I have had a sale on Etsy. Around Thanksgiving, I admit, I gave up. I felt like I just don’t have the creativity to be able to create “works of art”. I don’t have the skills. I am just not good enough. Plus with all of the holiday craziness, well, I just stopped. But, you know what, I don’t WANT to stop. I want to keep getting better! The kids all went back to school today and the house is a disaster, I am a disaster and I am exhausted. Today I am going to start fresh, well, not completely but I am going to start learning, start practicing and just keep at it. I am going back to what I originally had planned.I am going to only sell weird creatures! I am going to take off my pillowcases and send them all in to a charity that is mostly for kids, but maybe they can still use the. I am going to remove all my hats and scarves and give them away to the kids in the neighborhood because for Texas, it’s cold and the kids here just are not used to it and its cold at the bus stop in the morning. Today, I am going to rest, shower, watch TV and eat. I am going out to the garage randomly when I need to stretch and start the cleaning and de-cluttering process 5 minutes at a time. 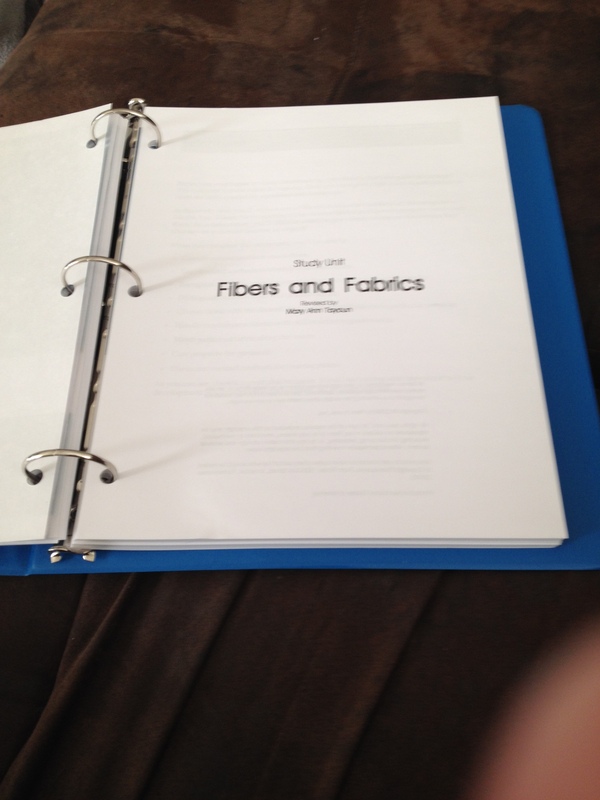 I am going to start the next section in the online class I am taking on sewing and will read all about fabrics today. And, I may just make some cookies for when the kids get home this afternoon.